Welcome to the 569th Edition of my series and week one of the Madness. 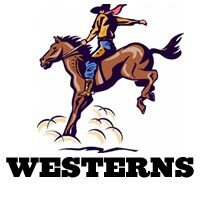 Right now we are in the annual contest of the Madness where for the first year I am a captain of my team which I don't really know what that means but I'll do my best. 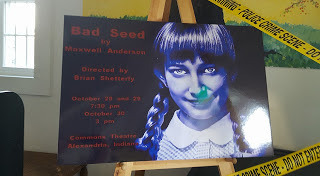 Rehearsals are coming along pretty well for THE BAD SEED which is at the Commons Theater in Alexandria, Indiana on October 28th, 29th, and 30th so if anyone in the Madness can make it out, you will get points for attending. 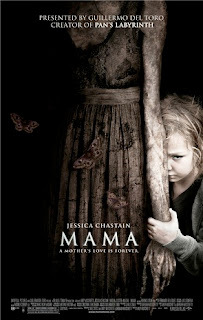 Mama (2013): This is part two of a two-part Jessica Chastain series. Chastain and Nikolaj Coster-Waldau star as married couple Annabel and Lucas. Lucas learns that he has two nieces named Victoria and Lilly, played by Megan Charpentier and Isabelle Nelisse, who have lived alone for five years. As they are in the house, they soon learn they may not have been alone and are dealing with a deadly force that only the children seem to know. Javier Botet plays the ghostly title figure and understand that much of the movement was his own which had limited CGI effects. This had a pretty creepy feel to it and did like the effects that were used. It is hard to explain but worth a watch for the horror crowd and for the month of October. 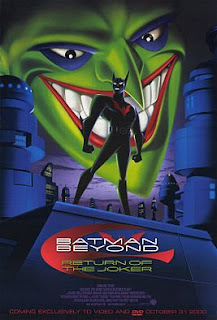 Batman Beyond: Return of the Joker (2000): This is part two of a three part Mark Hamill series. This is based on the animated series BATMAN BEYOND where Bruce Wayne, voiced by Kevin Conroy, is in his later years and a mentor to his successor Terry McGinnis, voiced by Will Friedle, who is the new Batman. 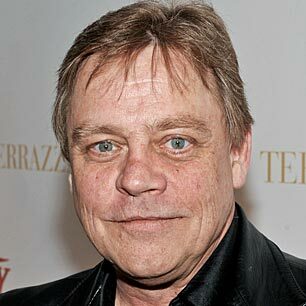 Bruce's old enemy the Joker, voiced by Mark Hamill, returns to Gotham City thought to be dead. This goes into flashback of the last battle between the Joker and Batman when he was Bruce Wayne. 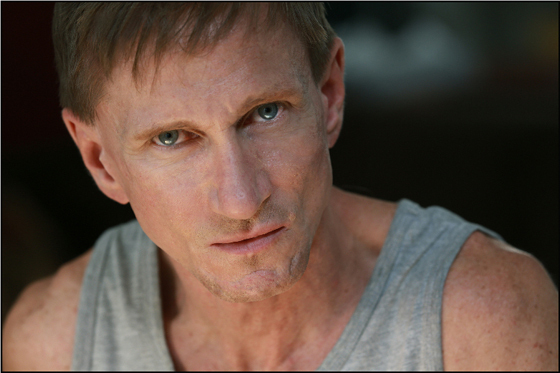 In the modern day, Terry is in the fight of his life after the Joker injures the aging Bruce Wayne. Angie Harmon, Dean Stockwell, Teri Garr, Arleen Sorkin, Melissa Joan Hart, Michael Rosenblum, Frank Welker, Henry Rollins, Rachael Leigh Cook, and many others provide their voices to the movie. This is a pretty good animated movie and you can never go wrong with Hamill as the Joker. This was an uncut version that I saw that I understand is more violent than the original cut. 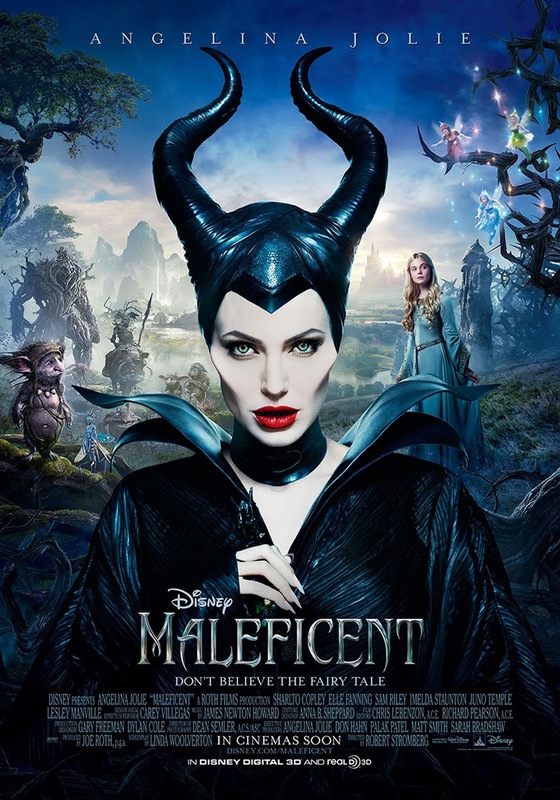 Maleficent (2014): Robert Stromberg directed this adaptation of the 1959 classic SLEEPING BEAUTY which is a bit of a different take to that Disney film. Angelina Jolie stars as the title character who in the 1959 film places a curse on an infant princess known as Aurora, played by Elle Fanning, to be placed in a sleep on her 16th birthday and can only be awaken by the kiss of true love. In this film, it gives a backstory on what lead Maleficent to her actions and a little different take to what we know. Sharlto Copley Lesley Manville, Imelda Staunton, Juno Temple, Sam Riley, Brenton Thwaites, Hannah New, Isobelle Malloy, Michael Higgins, Ella Purnell, Jackson Bews, and many others co-star in this film. This was pretty well liked but I know it had some mixed opinions. I think some just wanted Maleficent to be portrayed as the way she was in the original movie. I never really see anything as black and white so I was quite intrigued on how this was done. It might be a good idea to have seen the 1959 film first, then follow up with this on a double feature. I am aware that a sequel is in the works at some point so interested to see what that will entail. The Great Train Robbery (1903): This is my short film and western for the week. As everyone will see, this is a very early film. Broncho Billy stars as the leader of a gang holding up a train only to find that a posse is after them. This is one of the first credited western of all time. 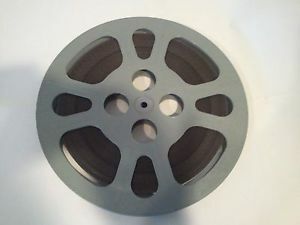 It did have some really good moments and there was a shot fired in which audiences actually panicked not knowing anything about film at the time. It is a great to watch for historical purposes. Corridors of Blood (1958): This is part two of my two-part Christopher Lee series. Robert Day directed this horror film which is kind of crime horror, atmospheric maybe. Boris Karloff stars as 1800s surgeon Dr. Bolton who is a surgeon in a time when there was no Anesthesia and is looking to make surgery easier for his patients. He is able to develop a form of Anesthesia to make it happen but forms an addiction. To get the chemicals necessary, he falls in with a den of murderers including Resurrection Joe, played by Lee, to get what he needs as long as he signs false death reports. As far as I know this is the only time the Lee and Karloff have worked together and was a pretty decent teaming. This is a pretty good atmospheric chiller and a good look at the medical industry during this era. Savage Sisters (1974): This is part two of my four-part Sid Haig series. Like last week, it is another exploitation movie so take it for what it is worth. It is a women in prison movie and one with revolutionaries in the Philippines. Not much to report except a tough cop, played by Gloria Hendry, and a couple female prisoners teaming up to take on the bandit leader Malavasi, played by Haig who clearly had a good time in the role. Enjoyable if not taken too seriously though I believe THE BIG BIRD CAGE is the best of those women in prison movies from the '70s but was hard to find so I settled on this one that is on Amazon Prime. The Wall: Live in Berlin (1990): This is part two of my two-part Tim Curry series where he plays the prosecutor in this live performance of Roger Waters' THE WALL and I would not have known who he was if I did not know he was going to be in it. This was a 1990 benefit concert in support of the War Memorial Fund for Disaster Relief. 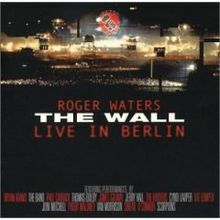 Roger Waters leads the way from Pink Floyd's THE WALL which includes actors and musicians The Band, Tim Curry, Thomas Dolby, Marianne Faithfull, Albert Finney, Bryan Adams, Jerry Hall, Cyndi Lauper, Ute Lemper, the Scorpions, Joni Mitchell, Van Morrison, Sinead O'Connor, and Rupert Everett. It is mostly a live version of the 1982 film PINK FLOYD: THE WALL. It is a very well done concert that was really worth watching. I know most prefer DARK SIDE OF THE MOON but I have always favored this work of Pink Floyd. 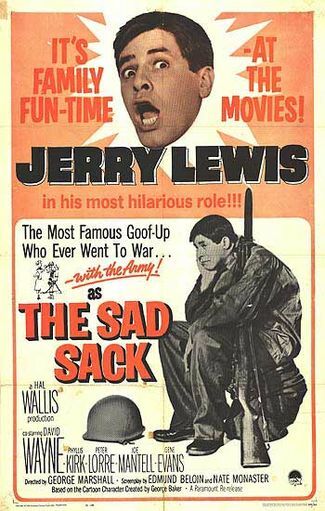 The Sad Sack (1957): This is part two of my three part Jerry Lewis series. Lewis stars as Private Meredith Bixby and is very bumbling as one might guess with Jerry Lewis. Major Shelton, played by Phyllis Kirk, is assigned to make a good soldier out of him so Dolan and Wenaslawsky, played by David Wayne and Joe Mantell, who both have a score to settle with him and get into a lot of mishaps leading to assignment in Morocco. Peter Lorre has a cameo as one of the Moroccans and has some pretty funny moments with Lewis. Nothing great but harmless fun with some funny gags. 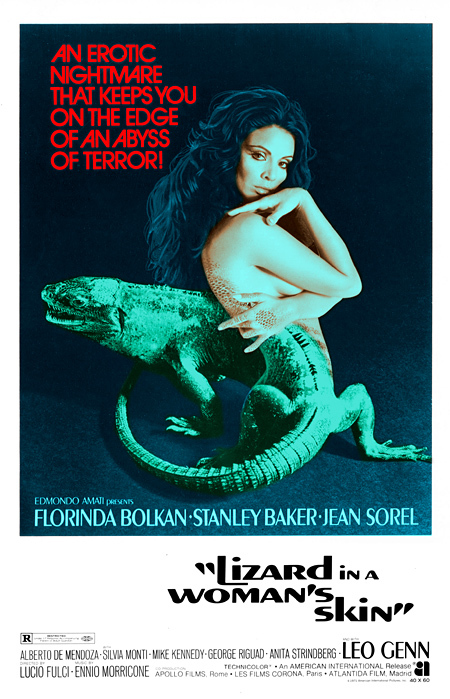 A Lizard in a Woman's Skin (1971): This is my psychological thriller for the week in the realm of Italian horror known as Giallo. Lucio Fulci wrote and directed this film. Florinda Bokan stars as Carol who is having bizarre dreams that involve murdering her neighbor. Soon, the murder becomes true in the way she describes and must figure out if she actually did it or was framed for it. Stanley Baker, Jean Sorel, Leo Genn, and many others co-star in the film. This was a very disturbing film and a good murder mystery. I also read that Fulci had to go on trial being accused of animal cruelty with scenes looking very believable and crew members had to testify that no animals were harmed during the filming. 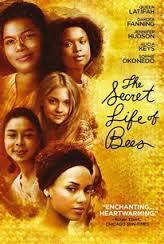 The Secret Life of Bees (2008): I end the week with this inspiration film and probably the first time in my blog series where I have featured both Elle and Dakota Fanning in the same week. 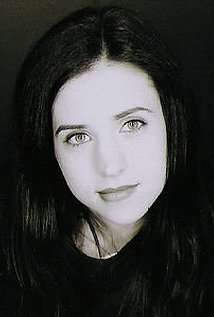 Gina Prince- Bythewood directed this film based on the novel by Sue Monk Kidd. This takes place in the '60s where Dakota Fanning stars as Lily who is a teen girl haunted by the memory of mother, played by Hilarie Burton, and decides to run away to learn more of her mother and to get away from her abusive dad, played by Paul Bettany. She is with her friend Rosaleen, played by Jennifer Hudson and finds the home of August Boatwright, played by Queen Latifah, who she knows has a connection to her mother. The extremely compassionate August takes them in while teaching Lily their work with the bees. Alicia Keys and Sophie Okonedo co-star as August's sisters June and May. Nate Parker, Tristan Mack Wilds, Bill Oberst Jr., and many others co-star in this film. This is a very well done film that show the horrid times of racial segregation and how family does not have to be blood. I admit I was moved to tears at times watching this one. Well, that is it for this part but continue on for my results of the Madness. Tell me what you like and dislike and stay tuned for next week which so far includes Keith David, Bruce Campbell, Mark Hamill, Jerry Lewis, Sid Haig, Tony Goldwyn, Mandy Patinkin, and many others. This is the first week of our annual contest which we have been doing for many years. This year I was a possible alternate judge. I did not get it which is okay and for the first time, I am a captain of the team I am in. For those who do not know, this is a contest which involves watching Halloween oriented movies, tv shows and live events. Every year, there is a different theme and this year the theme is clowns as well as carnival horror. This was announced over the summer so this was being done long before this "creepy clown" thing that apparently going on and I'm still not buying into this. Also every year, there is a list of names that are wild cards in which you can watch any of their work and it does not have to be the required genre. 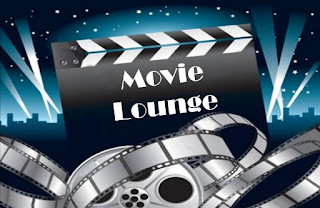 I have always taken advantage of the wild card names and have been known as "The King of the Loophole" in which through the years I have made movies like THE GODFATHER PART 2, ROCKY, TITANIC, GLADIATOR, and many others count. I have this mostly categorized with names that include this year's wild cards, last year's wild cards, and names in which I manage to have more than one. Otherwise I have separate categories if I do not have a name to use. I hate doing ratings but am required to do so and will go by the four 6 system that I have always used. Now I will get on with my selections. 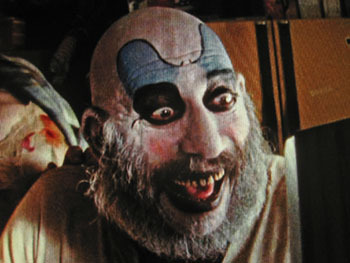 This actor is a wild card this year due to playing a clown in CIRCUS OF THE DEAD and I found a good loophole for him. The Secret Life of Bees (2008, 114 minutes, 666): It is selections like these that make me "The King of the Loopholes" in the Madness. Oberst plays Sheriff Gaston and is a wild card this year for the Madness. 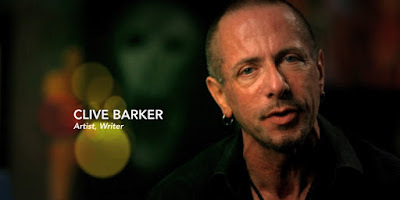 He is not a wild card though I hoped he would be but he is a horror icon and a wild card for last year. 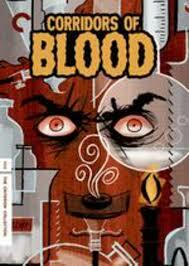 Corridors of Blood (1958, 86 minutes, 66 1/2): This is more like psychological horror but is considered horror. Sleepy Hollow (1999, 105 minutes, 666): This is more a horror murder mystery involving a headless horseman. This Burton/Depp collaboration should go without saying. Clive is not a wild card but a known horror writer and was able to find multiple works for him. Hellraiser (1987, 94 minutes, 66 1/2): Not much explanation needed for this horror film that Barker directed his own horror novel which lead to having a franchise in film. Quicksilver Highway (1997, 90 minutes, 66): This is a horror tv movie and it combines two short stories which are CHATTERY TEETH by Stephen King and THE BODY POLITIC by Clive Barker who also has a small part as the anesthesiologist in his story. More comedy than horror but Christopher Lloyd was very enjoyable. Murderous plastic chattering teeth and murderous hands should qualify this particular selection. Emily was a wild card last year so I decided to feature her in my only selection which is a horror one. Ginger Snaps (2000, 105 minutes, 666): This is one where one of two sisters is bitten by a werewolf. Emily is the younger sister trying to cure her older sister of the curse coming on after bitten by the wolf. 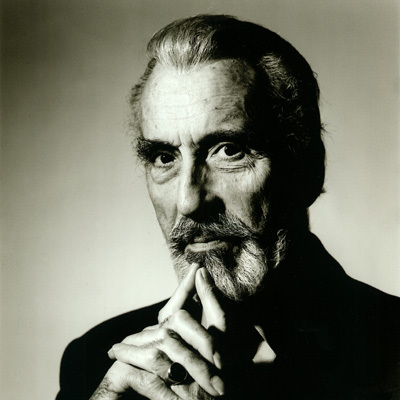 Ennio is a composer of film scores. There was some talk about him being a wild card this year due to our western category but never came to be though found multiple movies on my list that count for the Madness. The Cat 'O Nine Tails (1971, 112 minutes, 666): Pretty good psychological thriller from Giallo icon Dario Argento. This is billed as horror so should count. A Lizard in a Woman's Skin (1971, 95 minutes, 66 1/2): Ennio Morricone wrote the music score and the movie qualifies as essentially psychological horror. Red Sonja (1985, 89 minutes, 66): Fantasy film with Arnold Schwarzenegger and Brigitte Nielson. I believe this is dark enough with the evil Queen Gedren and the Talisman. I was not aware this was a Marvel comics character. 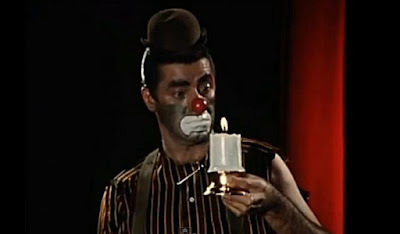 Yes, Jerry Lewis is a wild card this year due to his unreleased film THE DAY THE CLOWN CRIED which I had not ever heard of until the Madness announcements. I will be using him as a wild card a lot this year. The Delicate Delinquent (1957, 101 minutes, 66 1/2): I never thought I would see the name but Jerry Lewis is a wild card for the madness so I included his first film without Dean Martin. Jessica is not a wild card this year but found multiple movies on my list for this contest so decided to make a category for her. Crimson Peak (2015, 119 minutes, 666): This one involves a ghost and other creepy elements to qualify for the Madness. Mama (2013, 100 minutes, 666): This also had a ghostly figure and creepy little girls so absolutely qualifies for the Madness. Juno is not a wild card this year but like others, found multiple movies on my list so decided to make her into a category. The Dark Knight Rises (2012, 164 minutes, 666): This is the last of Christopher Nolan's Batman trilogy. Juno plays the part of Jen who is kind of a sidekick to Selina Kyle. Batman counts at any time. Maleficent (2014, 97 minutes, 666 1/2): Juno plays the fairy Thistlewit. With the fairies, dragon, and the enchantress that Maleficent is, I say this qualifies for the Madness. There was discussion for Mark to be a wild card due to his voice work as the Joker but named the character the wild card instead but did find multiple movies of Mr. Hamill. Batman Beyond: Return of the Joker (2000, 76 minutes, 666): Mark Hamill voices his most iconic role in the Joker in this animated movie. This is a selection that plays more to our theme of evil clowns and the Joker being "The Clown Prince of Crime". Castle in the Sky (1986, 125 minutes, 666): Mark Hamill provides a voice in the American version of this Studio Ghibli animated film. This might need a little argument. Maybe I can justify it with high adventure even though I never really understood what that meant no matter what explanation I was given. 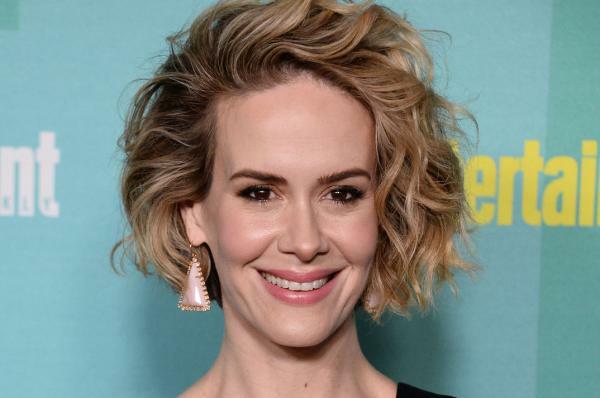 Sarah is a wild card this year, I believe on account of her work on AMERICAN HORROR STORY. I decided upon a tv show for her and a good loophole. Grey's Anatomy: Season 6, Episode 15 (2010, 43 minutes, 666): Sarah Paulson is a guest on this episode where in a flashback plays Dr. Ellis Grey, the mother of Meredith. I have never really watched this much but was a good episode of doctors reflecting on past work that helped get them where they are in a conference. The Alphabet (1968, 4 minutes, 66): This is very early David Lynch and is a pretty creepy four minutes. 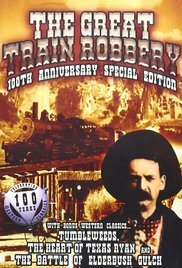 The Great Train Robbery (1903, 11 minutes, 666): Westerns count this year in the Madness. Lenore: The Cute Little Dead Girl: Episode 1: The New Toy (2002, 666, 2 minutes): This was a really weird animated series that I assume was an internet one based on the graphic novels. Lenore went to a pet store looking for a toy. These are available on Youtube and are very interesting. Salad Fingers Episode 1: Spoons (2004, 66 1/2, 2 minutes): This was another internet animated series of Salad Fingers. I don't really know who or what he is except that he loves rusty spoons and loves caressing them. One of those where I'm just thinking wtf but still rather intrigued for some reason. I think the creepy factor is there and should count for a little points through all these shorts. Having a clown categoy, Sid obviously needs to be a wild card and was one of the first named wild cards due to his work as Captain Spaulding. The Big Doll House (1971, 95 minutes, 66 1/2): Nothing like a women in prison film as a loophole for Sid Haig. Batman vs. Robin (2015, 80 minutes, 66 1/2): I guess this is the sequel to the 2014 movie featured in this movie where Bruce Wayne's loose cannon son Damian who as Robin has a hard time with Batman's no-kill rule after being raised by Ra's Al Ghul. He is sought after by a secret society called the Court of Owls and must make a decision on where his allegiance lies. I started noticing that when Nightwing in in these animated movies that he kind of acts as the middle man. I'd like to see more animated movies centered around characters like him and maybe one all about Batgirl. I suppose this is the start of those vs stories that came about this year like with Batman and Superman, Daredevil and Punisher, and Captain American and Iron Man. Justice League (2015, 76 minutes, 666): This is a much different take on Superman, Batman, and Wonder Woman in both the looks and personality. If you are all about tradition, then this might not be for you, also not one for the family. 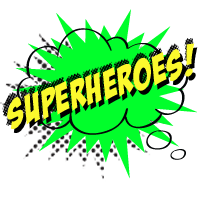 This was an interesting take on these characters where they even have different names though other familiar names make appearances like Lex Luthor, Ray Palmer, Lois Lane, Victor Fries, Amanda Waller, Steve Trevor, and many others. Those who hate the Superman for being a boy scout, this is a much different and darker portrayal. Son of Batman (2014, 74 minutes, 666): I don't know enough of the comic book story to dislike it on account of the story. I check this out and enjoyed this movie more centered around Damian Wayne, the son of Bruce Wayne and Talia Al Ghul so also the grandson of the League of Assassins leader Ra's Al Ghul. Easily counts on account of Batman. Also, a good look at other characters like Nightwing and Deathstroke. Tim was a wild card last year and is one of the first people announced this year obviously for his role as Pennywise in Stephen King's IT. 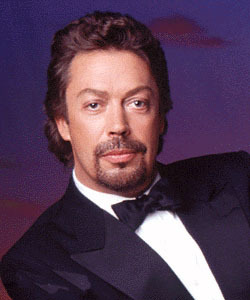 Annie (1982, 127 minutes, 66 1/2): This version of the musical counts this year with Tim Curry playing the con artist Rooster. Legend (1985, 89 minutes, 666): This was the movie that last year mostly centered around and Tim Curry is a wild card for the second year in a row. Would count either way I know. The Wall: Live in Berlin (1990, 115 minutes, 666): Last year I included concert film STOP MAKING SENSE from the Talking Heads and this year I get to feature this live concert from Roger Waters that includes a cameo from Curry. 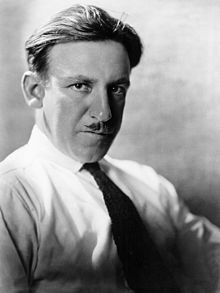 Tod Browning is a legendary director known for his directing in Universal Horror like for the 1931 film DRACULA and is a wild card likely due to his carnival film FREAKS. The Devil-Doll (1936, 78 minutes, 66 1/2): This is a classic horror movie involving miniature humans so easily qualifies for the Madness. The Gunfighter (1950, 90 minutes, 666 1/2): Again, westerns count so this psychological western gets a place this year in the Madness.